Fish keeping is one of the most enjoyable ways to relieve stress. The beauty of keeping fish is that you are not restricted to simply placing a fish in a waterproof container. You can also grow Plants, Corals, Invertebrates, Amphibians or a combination of these things. Most enthusiastic hobbyists try to mimic the fish's natural habitat and many experiment with designs and layouts that are only limited by our imagination and guided by our constant learning of what is best for the fish. Hence the Gapedi Tanks motto "THINK LIKE A FISH"
Huge satisfaction is derived from successfully creating a mini eco-system/world that your pet thrives in. 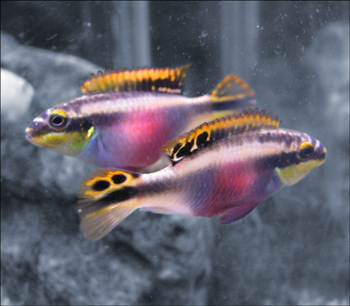 Whether your aim is to have a small Fresh Water Aquarium as a relaxing backdrop, a huge Tropical Marine Centerpiece or to breed and propagate various species... This hobby gives you hours of pleasure and relaxation. Gapedi Tanks was born out of the belief that the container that holds the water is pretty important. When Graham was in the water containment business, he coined the phrase "I will solve all your DAM problems!" A good, strong, reliable, attractive tank goes a long way to allaying fears of major spillages on the beautiful lounge floor... never mind the stress that images of large shards of lethal glass flying across the room can induce in one with an overactive imagination (something Graham is inflicted with). Clearly, judging from the popularity of Gapedi Tanks, customers agree that anyone who ventures into the fish-keeping hobby deserves the peace of mind that their tanks are built by a professional and are deemed among the safest fish tanks money can buy. We get requests for Gapedi Tanks from all over the world. Hopefully Graham will train a few apprentices that can start Franchises in other areas soon.